"Medical Threat Assessments: Hope is not a Strategy - Planning for a Successful Race"
When planning a race, organizers often focus on the course, the participants, the permits, etc… and way at the bottom of the list is "medical." However, what does type of planning does that really entail? This course will provide the participant with the tools necessary to build a scalable medical plan that protects the riders, the staff and the providers. From the basics of performing a medical threat assessment to developing your emergency response objectives and assembling your team, the lecture will help participants ensure a safe event. Dr. Bitner, MD, MEd, FACEP, is the Chief of Emergency Maria Parham Medical Center - Duke LifePoint Hospitals, and is the Director of Education and Training for STAT Medical Solutions. He has worked many international-caliber events and helps to plan and organize the medical staff at the US' largest races. Who is in charge when concussion happens in racing? 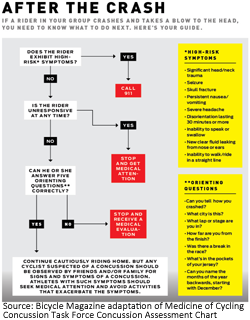 Concussions don't bleed, swell, ooze, or rupture, which makes it challenging to identify riders who may have sustained a concussion. Tony Martin (Omega Pharma-QuickStep), who crashed in Stage 1 of this year's Tour de France and lost consciousness on his way to the hospital, was later diagnosed with a concussion. This would have instantly qualified him for removal from competition in other sports yet, within 24 hours of crashing, Martin was back on his bike and working toward his team's objective to win a Tour title. disease. By crashing, losing consciousness, concussing and subsequently winning, Tony Martin, his physicians, and supporters succeed in undoing efforts to raise awareness about the seriousness of traumatic brain injury in cycling. In a race like the Tour de France, where racers often ride elbow-to-elbow, any lapse in concentration can lead to wheels touching at high speeds. Crashes are typically unavoidable and the resulting rider pileups yield a litany of carnage unrivalled by most other sports. These are the injuries, according to Tim Renowden in his article linked above, that "are routinely brushed aside by the rider involved, in the interests of team goals and romantic notions that this is a sport for the hardest of the hard." Taking a concussed racer out of competition costs him the race and all the advantages in its wake (stage wins, prize money, future endorsements, racing contracts etc. ), keeping him in the race gambles with his health and the welfare of his fellow racers. Put a racer back on his or her bike following a concussion and disequilibrium and slowed reaction times increase the risk for further injury to the concussed cyclist and those around him/her if precautions are not taken before returning to training and competition. Tony Martin confessed via the Tour's official website that when he heard he could continue the race, he knew he "wouldn't be 100 percent" for the Stage 4 team time trial but by Stage 11, he claimed to be "more-or-less recovered." 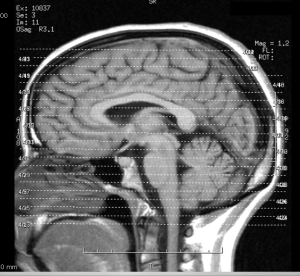 Cyclists may dismiss the gravity of concussion simply because there isn't a lot of talk about concussion in cycling. Except that, as one surgeon put it, "Brain trauma is brain trauma, no matter the sport." Football players suffering the lasting effects of repeated blows to the head have sparked studies about concussion. In a landmark case that may shake the foundation of the National Football League, 4,000 former players argue that the NFL deliberately withheld information about the risks of playing football, namely the long-term effects of traumatic brain injury. 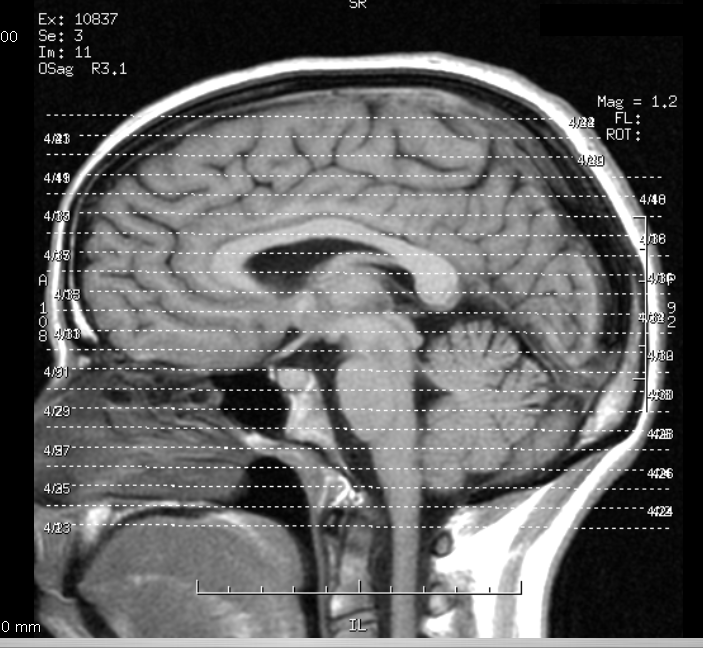 Can Just One Concussion Change the Brain? Concussions in races like the Tour de France challenge team physicians and team directors to make a conclusive diagnosis based upon ambiguous symptoms, some of which can evolve for up to 14 days and persist for many weeks afterward. A lack of education about how to recognize and assess concussions, plus a "tough guy" mentality, seem to persist in professional cycling, where a concussion can cost a racer more than just minutes in the General Classification. Which is why it was so perplexing following a crash in Stage 6 that, rather than risk permanent damage to his left knee after crashing hard, Janez Brajkovic (Astana) was ordered out of the race by no fewer than three physicians while Martin rode on. Until there is historical data against which to measure long-term effects of concussion in cyclists, cavalier physicians and uninformed team directors will continue to toy with the health and welfare of professional cyclists. "Bicycle helmets do an outstanding job of keeping our skulls intact in a major crash. But they do almost nothing to prevent concussions and other significant brain injuries—and the very government agency created to protect us is part of the problem. The time has come to demand something safer." Wow! The UCSF 2013 Mini Medical School Medicine of Cycling Edition will launch its web video series starting on July 28, 2013! Aches and Pains: When is it Time to See the Doctor? Nutrition: What Fuels Your Human Powered Vehicle? Metrics and Gadgets: How Do You Measure Up to the Pros? Men in Cycling: New York Times Warns Men about Long Bike Rides, Are They Right? 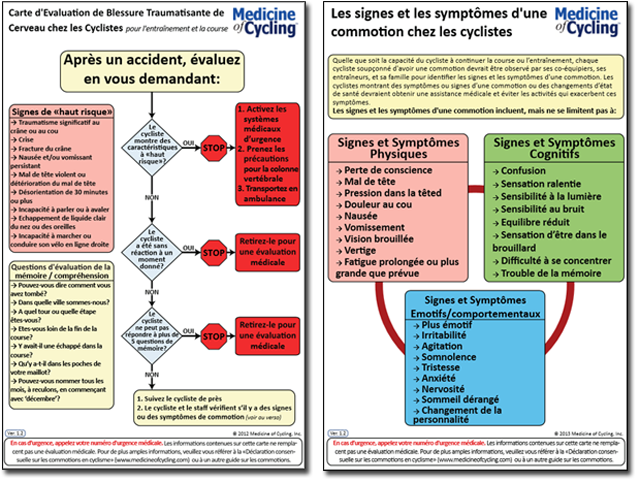 Thanks to the efforts of Paul Trégouët, we are now offering the Medicine of Cycling Concussion Evaluation / Assessment Cards in French on our Guidelines page. This is in addition to our English and Hebrew versions. Full-color printed and laminated versions will be available prior the Tour de France. If you would like to see the cards translated into another language or would like to coordinate an alternate language translation, please contact us. Due to popular demand, we now have waterproof laminated concussion cards available for purchase. These cards are a handy 5.5" x 8.5" size and they fit in any gear bag, car seat back or in the team bus. Purchase as many as you like; bulk pricing is available by contacting heidi (at) medicine of cycling.com. As with a real ''tool kit'', the material contained in the Sport Physician’s tool kit is intended to help sport physicians develop anti-doping education programs which can be adapted and customized to suit local cultures, conditions and resources. You are encouraged to adapt the tools to your specific program needs and reproduce them so that they may be shared as widely as possible with other sport physicians within your region. Is the importance of city bike usage more important than wearing a helmet? The New York Times takes a look a bike sharing programs, helmet usage and the adoption of these programs. The real question is: do the benefits of getting more people on bikes outweigh the risks of not wearing a helmet while doing so? "In the United States the notion that bike helmets promote health and safety by preventing head injuries is taken as pretty near God’s truth. Un-helmeted cyclists are regarded as irresponsible, like people who smoke. Cities are aggressive in helmet promotion. "But many European health experts have taken a very different view: Yes, there are studies that show that if you fall off a bicycle at a certain speed and hit your head, a helmet can reduce your risk of serious head injury. But such falls off bikes are rare — exceedingly so in mature urban cycling systems." 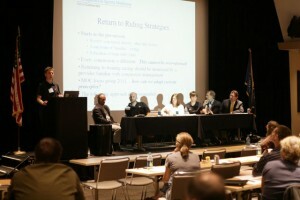 COLORADO SPRINGS, Colo. (August 26, 2012) Hip injury, sweat rate, cardiac screening, disordered eating, and dental care were just a few of the topics discussed today at the third annual Medicine of Cycling Conference. Medical experts presented a range of diverse topics from their respective fields and, casting the cyclist-as-patient into the spotlight, each presentation exposed medical issues specific to cyclists. With the help of modern technology, Mark Greve, MD, medical director of Team Type 1, started the day with a check-in from the USA Pro Challenge. He discussed what it's like to be a team physician for a team in a major race. While this year's race was largely uneventful from a team physician perspective, Dr. Greve discussed his medical kit, how often he gets to ride his bike during events (rarely, if ever), and how he manages the language barrier with TT1 athletes from around the world. Claudette Lajam, MD of New York University Langone Medical Center started off the day with her presentation on Lower Extremity Conditions in Cycling. Dr. Lajam highlighted IT Band Syndrome, hip dysfunction, labral tears, arthritis, and hip arthroplasty, as well as hip impingement and knee problems that affect all ages of the cycling population. Next up Monique Ryan MS, RD, CSSD, LDN, HFS, brought her decades of experience working with endurance athletes to bear in her talk on Nutrition Strategies Designed for the High Performance Cyclist. In her presentation, Ryan detailed optimal foods for after, during, and before training, plus emphasized the need to jumpstart recovery immediately post training and racing. To support her topic, Ryan cited many studies and literature that examined carbohydrate absorption rates and sweat rates in cyclists to determine optimum intakes of carbohydrates and fluids when training and racing. Michael Giudici, MD continued with his presentation on Pre-participation Cardiovascular Screening for Competitive Athletes. His talk examined the answer to the question, "What are the causes of sudden death in young competitive athletes, and what can we do to identify them?" and named myocarditis, coronary artery anomalies, and heat stroke effect on the heart as some of the threats to competitive athletes. He concluded with current American Heart Association recommendations for pre-participation cardiovascular screening of competitive athletes. Gloria Cohen, MD finished off the morning sessions with The Female Cyclist, where she discussed The Female Athlete Triad: Eating Disorders, Amenorrhea and Osteoporosis. In addition, Dr. Cohen pointed out to participants that estimates of disordered eating are unknown, they vary from 4-39 percent; it is still a widely under-reported condition. The afternoon sessions began with conference organizer, Anna Abramson, MD, announcing the results of a survey-based study of team physicians, team owners and team captains. Paul Abramson, MD, gave a talk on Integrative Medicine and Cycling, which was followed by a presentation on Evaluation and Field Management of Traumatic Facial Injuries. Aaron Liddell, MD DMD and John Tannyhill MD DDS drew attention to the many headlines in the cycling media about serious facial crashes in the pro peloton, including facial/head lacerations and mid-face trauma, both of which are some of the hardest things to fix. They also emphasized the importance of dental care, citing a couple top pro racers who were out for a significant portion of season due to wisdom tooth infections. Margarita Sevilla, MD offered advice on how to prevent deaths in triathlon during her presentation on Triathlon Medicine. Preparedness and education are key, according to Dr. Sevilla. She also added general tips on how to prevent injury, such as core strengthing, proper bike fit, treadmill analysis, incorporating rest, and cross training. The third annual Medicine of Cycling Conference concluded with a presentation by Matthew Fedoruk, PhD, Science Director of the US Anti-Doping Agency, whose talk on Cycling and Anti-Doping: A Health Professional's Perspective detailed educational efforts to explain the health ramifications of doping in cycling. To help conference participants become better informed, Fedoruk offered attendees many resources for medical practitioners, athletes, and coaches, as well as websites, phone numbers. Dates for the fourth annual Medicine of Cycling Conference will be forthcoming, please check the website for more information. On July 8, 2011, thousands of fans logged on to YouTube to watch Chris Horner cross the finish line following Stage 7 of the Tour de France, repeatedly asking "Where am I? Did I finish?" when he couldn't remember crashing 35 kilometers earlier. Many fans could probably guess that Horner, who suffered a massive blow to the head in a multi-rider pileup, had a concussion. It is a matter of grit and perseverance that a rider climbs back on his or her bike and chases the peloton after a crash, if it is physically possible to do so. In cycling, post-crash management is generally conflicted and flawed. Unlike other professional sports, cyclists do not get a time out. There are no sidelines. The moment the rider is down, the peloton speeds away. "Experts in the field of concussion started to recognize the potential long term implications of even a single concussion and we are now making amazing efforts to provide education about the seriousness of these injuries to athletes, parents, family members, coaches, etc." explained Dr. Jason Brayley, sports medicine physician with MultiCare Orthopedics and Sports Medicine in Puyallup, Wash. "Oftentimes concussions are not recognized by athletes or those people around concussed athletes because they are not dramatic. Concussion symptoms can evolve slowly over hours to days and an athlete may not really understand what they are going through. Concussive injuries often do not involve bleeding lacerations, loss of consciousness, or other startling findings that typically earn immediate medical evaluation." Dr. Brayley, who is the team physician for Kenda/5-Hour Energy Pro Cycling presented by GearGrinder, has experience managing athletes who have sustained a concussion and can attest to the need for greater knowledge of traumatic brain injuries (TBI). As one of the founding members of a concussion task force, which emerged during last year's inaugural Medicine of Cycling Conference, his goal was to try and correlate current practices in concussion management specifically to the world of cycling, as the sport of cycling has its own set of issues that can make safe evaluation and returning to racing difficult. Led by conference co-chair Dr. Anna K. Abramson of the University of California, San Francisco and co-founder of Medicine of Cycling, members published a concussion statement to educate cycling team managers, coaches and athletes on the symptoms and management of concussion in athletes. "Concussed cyclists are more likely to have impaired function that leads to a repeat crash, potentially hurting themselves and others," said Dr. Abramson. "We are drawing on the concussion work in other sports to tailor education and guidelines that make sense for cycling because no one wants to see more athletes end their careers or worse because of poor decisions. We know that those with previous concussions are at increased risk of repeat concussions and brain injury, and are most susceptible during the post-concussion period. We want athletes and coaches to know when it's simply too dangerous for a cyclist to get back on the bike." TBIs rank as the most serious injuries of the half-million emergency room visits recorded by cyclists each year in the US. What makes Horner's case so astonishing - and a string of similar cases reported from the start of the 2011 racing season until now - is the video footage that makes it impossible to ignore the risk of returning to competition that could have led to life-threatening circumstances and/or lasting brain injury for Horner. In 2006, Zachery Lystedt, a middle school football player from Maple Valley, Wash., was allowed back in the game after suffering a head injury. He later collapsed and was rushed to the hospital where he endured two emergency brain surgeries. Among other elements of his recovery, he's had to learn how to walk again. Now there's a law in Lystedt's name, which requires any athlete to consult a licensed medical professional if there's an apparent injury. Cyclists can significantly decrease their odds of head and skull injury by wearing helmets but, by requiring cyclists to be assessed by medical staff immediately after a crash, far worse problems can be avoided. 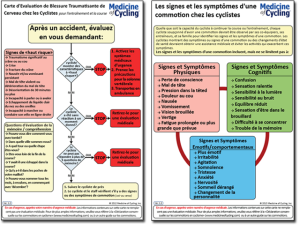 Another measure recommended by Medicine of Cycling physicians is to obtain an assessment of athletes' baseline neurologic function because having that information would allow for accurate diagnosis in case of future injury. Knowing an athlete's respective baseline neurologic function is one of the most important aspects of good neurological care for all athletes. Cyclists with a history of prior concussion are at an increased risk of repeat injury, so it is particularly imperative for these athletes to have a baseline cognitive assessment. USA Cycling, the sport's national governing body, has already taken the initiative to test some of its BMX athletes, which signals an emerging trend in both increased awareness of concussions and improved safety for cycling athletes.